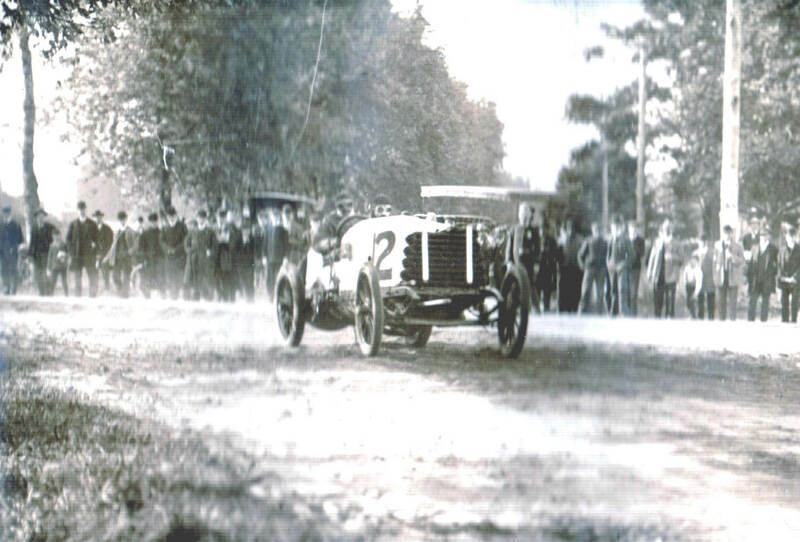 The course for the first Vanderbilt Cup Race in 1904 covered 30.24 miles of public roads in the center of Long Island. This 10-minute film documents the course using some of my favorite photos and clips from the American Biograph & Mutoscope film of the race. Triangular in shape, Jericho Turnpike, Massapequa-Hicksville Road, and the new Hempstead-Bethpage Turnpike formed the sides of the course. Running clockwise, the course began on Jericho Turnpike in Westbury. 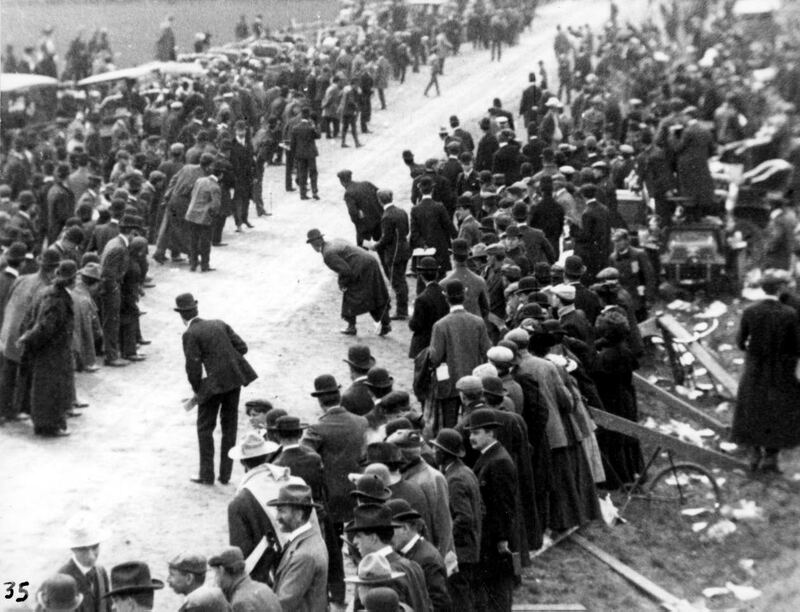 Here, aproximately 5,000 spectators gathered at the grandstand, press box and Start/Finish line. The three long stretches of roads were connected by major turns in Jericho, Plainedge, and Queens. 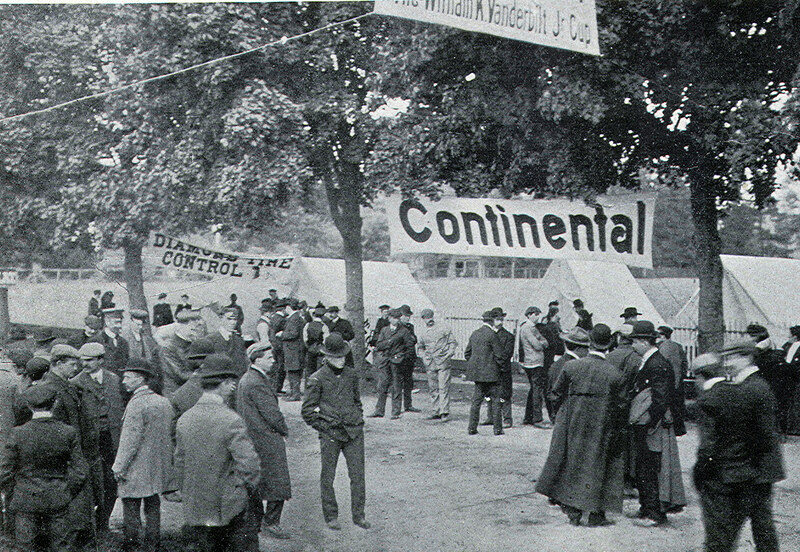 The plan called for a 10-lap race with drivers stopping in two “controls” on each tour of the course. The controls were in the towns of Hicksville and Hempstead, the largest population centers in Nassau County. 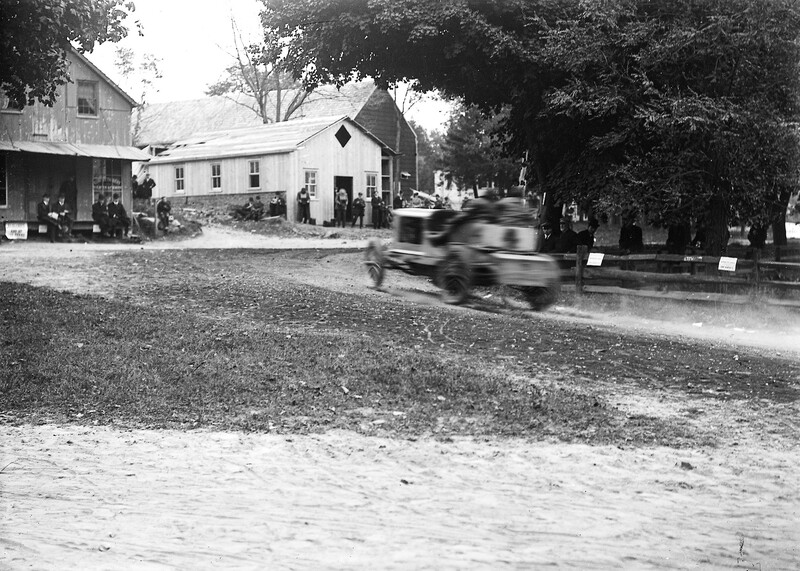 At the controls, the cars were stopped, inspected, and allowed to proceed slowly over railroad tracks led by officials on bicycles. Deducting the length of the two controls, one lap of the course was 28.44 miles making the race 284.4 miles. 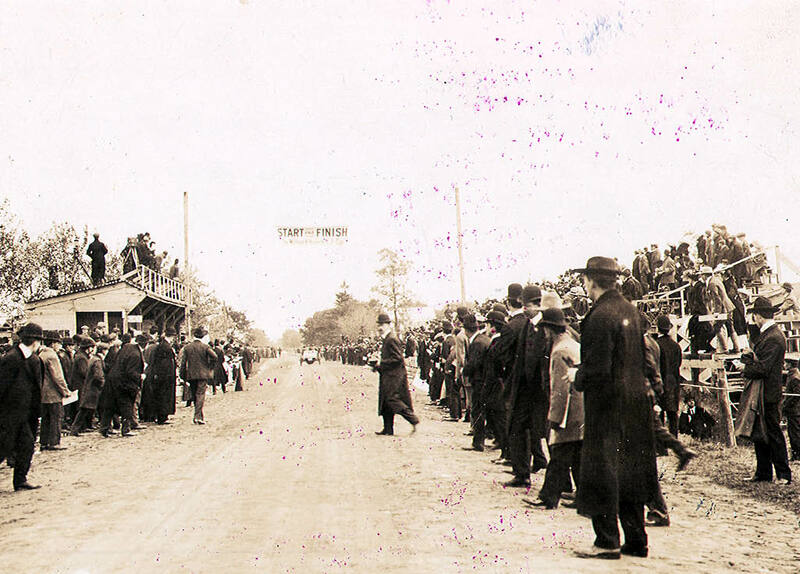 Spectactors standing near the grandstand could not resist strolling on the course during the 1904 race. 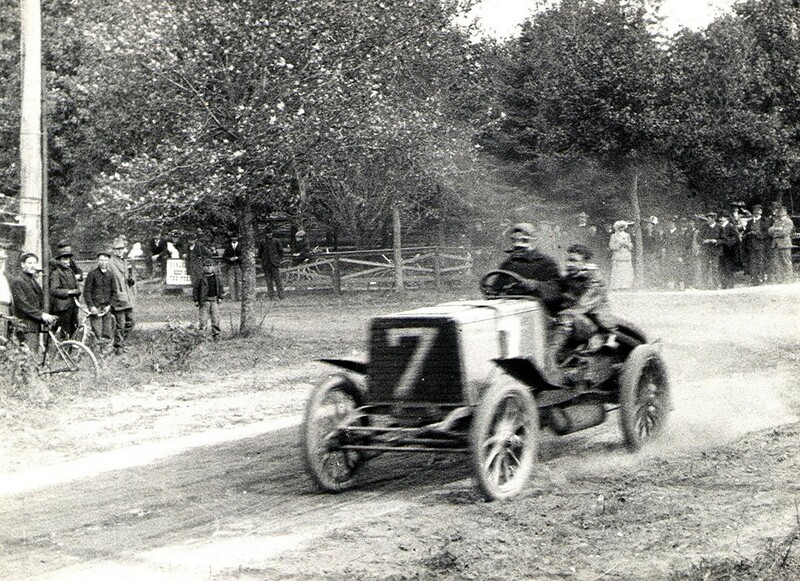 The absence of crowd control would remain a problem for all Vanderbilt Cup Races held on Long Island. Feedback and contributions are much appreciated on VanderbiltCupRaces.com . Please leave your comments at the end of a post on the Blog or send an email to me at Howard@Kroplick.com . 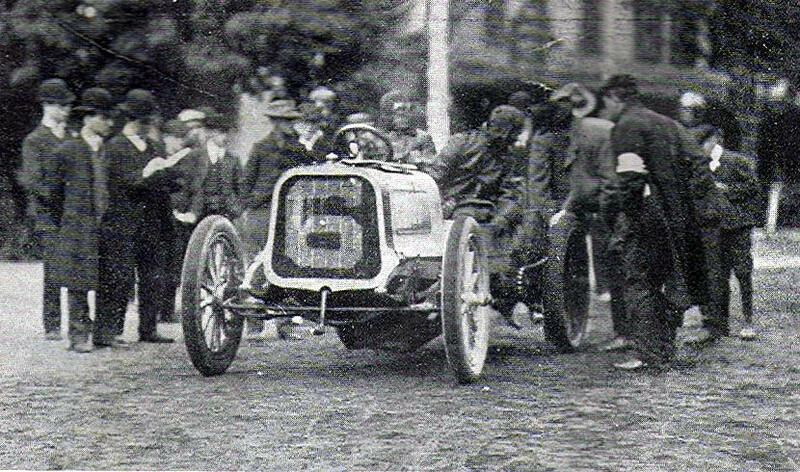 Highest finish for an American car in 1904 race.